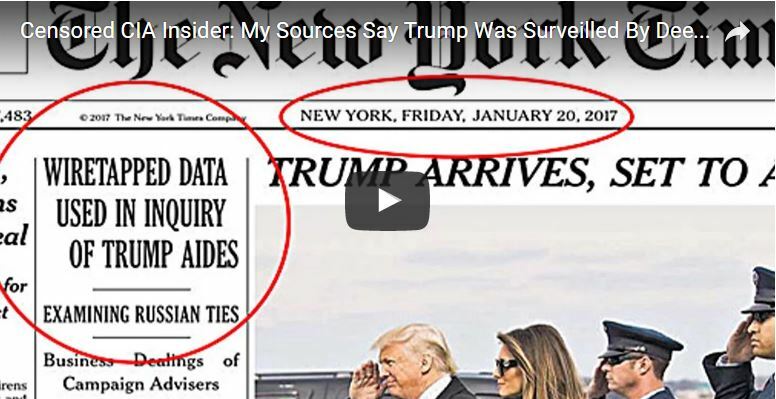 The New York Times print story on the front page of January 20th, 2017 read: “Wiretapped Data Used in Inquiry of Trump Aides”. Of course now, the New York Times is trying to downplay that story simply because Trump said Obama had wiretapped his campaign. Since “wiretapped data” was being used to investigate President Trump’s associates and they are going over those conversations, it seems self-evident that someone has the recorded conversations. INFOWARS is reporting that they have evidence now of the wiretapping from a law enforcement source. How is it possible to go over conversations to investigate if any of Trump’s people spoke to Russians without recording those conversations? The two Republicans who are trying to dethrone Trump I have stated are two men I would not shake hands with. 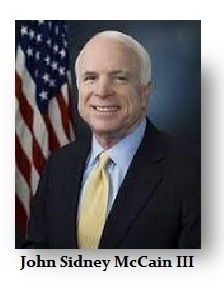 John McCain, when a Lieutenant Commander in the U.S. Navy as a Navy pilot, played a hog-dog maneuver on July 29, 1967 that killed 134 sailors. McCain while on the deck of the carrier U.S.S. Forrestal, pulled a trick by doing a “wet start” up of his jet to show off. This created a large startling flame and sudden shocking noise from the rear of a jet engine. He also seems to have apparently armed a weapon that resulted in launching a powerful Zuni rocket across the carrier’s deck hitting other parked planes. The subsequent massive explosions, fire and destruction went several decks below and nearly sunk this U.S. aircraft carrier. This stunt resulted in the deaths of 134 sailors and seriously injure another 161 sailors blinding some. 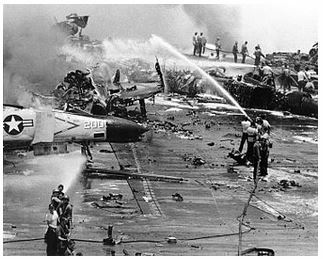 Any other Navy pilot causing this type of death and destruction would have been grounded and charged. Not McCain. For you see, his grandfather was a famous FOUR STAR Navy admiral and his father was at the time a Navy FOUR STAR admiral. McCain was simply transferred and everything was covered-up. What is alleged to have happened thereafter is on that mission in Veitnam, McCain was so disliked by other pilots for what he did and his privileged status, they deliberately left him out to get shot down pulling away to leave him flying alone as an easy target. The other Republican trying to stop Trump is none other than Lyndsey Graham who sponsored the Act that allows the government to arbitrarily imprison you without a trial or a lawyer. All they need do is claim you were associated with “terrorism”. However, the definition of “terrorism” has expanded to anyone who resists government domestically as well. Members of the protest in Oregon protesting against the government has had the Washington Post asking – Why aren’t we calling the Oregon occupiers ‘terrorists’? Lyndsey Graham has unleashed the very tool that has wiped out the Constitution with changing the definition of a single word. These are the two Republicans trying to say Trump was not “wiretapped” but implying that there was no surveillance at all in any form. Yet Acting Attorney General Sally Yates, James Clapper and John Brennan, warned Trump that Michael Flynn did speak to Russians about the sanctions. They had access to those recorded conversations. What is stunning is how now everyone has amnesia about Flynn or how is it possible to investigate conversations if they do not have them? It just appears that government is just so corrupt, there is nothing much we can do but just watch. 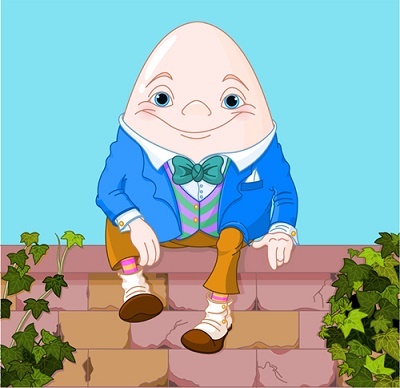 Sooner or later, Humpty Dumpty will fall and nobody can put him back together again. This is part of the critical key to a Phase Transition. Such moves take place when people lose all trust and confidence in government. We are getting there. « Disgusted with Congress Yet?